DKIM (DomainKeys Identified Mail) is a method of signing electronic emails using public private key. 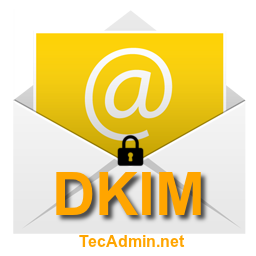 DKIM is used by receiving mail server for identifying email, that they are sent by authorized mail servers. It also minimize the possibility of getting emails SPAM. This tutorial will provide you a quick and easy way to set up DomainKeys with your POSTFIX running on CentOS and RHEL systems. When we configured DKIM on sending servers. First we generated a public/private key pair for signing outgoing messages. Public key is configured as TXT record on domains name server, and the private key is configured in outbound email server. When an email is sent by an authorized user of the email server, the server uses the stored private key to generate a digital signature of the message, which is inserted in the message as a header, and the email is sent as normal. First make sure you have enabled EPEL repository in your system. After that install dkim-milter package using following command. Now create DKIM key pair using dkim-genkey command line utility provided by dkim-milter package. For this tutorial we are using domain name “example.com”, Change this name with your actual names. Above command will generate two files default.private and default.txt. You can created multiple DKIM keys for different-2 domains and configure with your postfix server. First edit the domain keys lists setting file /etc/mail/dkim-milter/keys/keylist and add following entry. After configuring private key in postfix server. 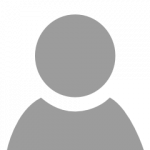 there will be another file default.txt generated by dkim-genkey. Edit your DNS zone file and add this as TXT record found in default.txt. In my case this is like below.